Safello announces the integration of Jumio's identity document verification service to speed up its onboarding process. Customers throughout Europe now have a quick and safe way to get into bitcoin. With 87 banks in 11 countries supported for direct payments and its smooth verification process Safello is living up to its motto "The fast lane into Bitcoin". 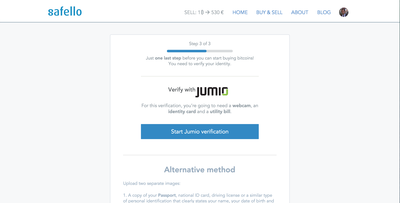 With the new verification method Jumio (http://www.jumio.com/) and Safello's extensive support for different direct payment options, Safello (https://safello.com/) is the go-to destination for Europeans who want to buy or sell Bitcoins quickly. Frank Schuil, CEO & Co-founder of Safello explains: "What most newcomers to Bitcoin do not realise is that the popular peer-to-peer exchanges have deposit requirements that cause days or in extreme cases weeks delay. We have optimised our platform for the quickest turnaround time as we don't require such initial deposits, but instead execute the trade directly to the market." 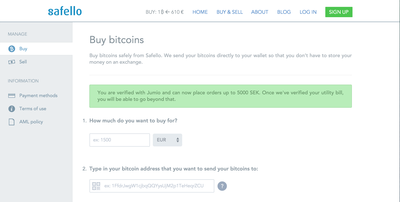 To improve turnaround time from first visit to delivery of Bitcoins, Safello partnered with Jumio. Safello’s customers can now hold up their identity document to their device camera for a quick and easy verification process. 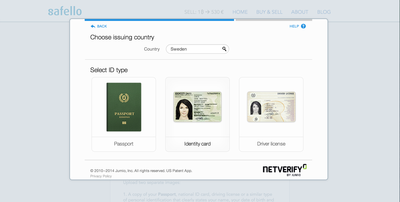 Netverify, Jumio’s document authentication service makes sure that customers are who they say they are and that they are using a real, legitimate ID document. Sara Lindqvist, compliance officer at Safello elaborates: "In Sweden we introduced Mobile Bank ID earlier this year as a verification method. It significantly improved the conversion rate and our customers loved it. We set out to find an equally reliable and compliant solution for the rest of Europe and found Jumio to fit all of our requirements." 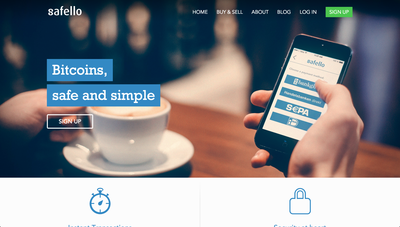 Safello AB is a Stockholm based company founded in July 2013. The company mission is to support the cryptocurrency market with a safe way to buy, sell, store and use Bitcoins. Its team consist of security specialists, serial entrepreneurs and Bitcoin experts. Safello secured funding from Bitcoin heavyweights Erik Voorhees, Roger Ver and Nicolas Cary and since then it has rapidly grown into the go-to location for first time Bitcoin users. 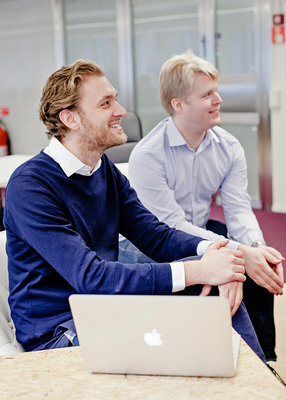 Today Safello supports direct payments in 11 countries for 87 banks with support for GBP, SEK and Euro, establishing itself as the Fast lane into Bitcoin. Jumio is a next-generation payments and ID software-as-a-service company that utilizes proprietary computer vision technology to reduce mobile/online payment and ID friction and fraud, while increasing revenue and customer satisfaction. The company’s mission is to provide its clients with intuitive, consumer-facing technologies that make it possible to conduct a wide range of mobile transactions without a single keystroke. 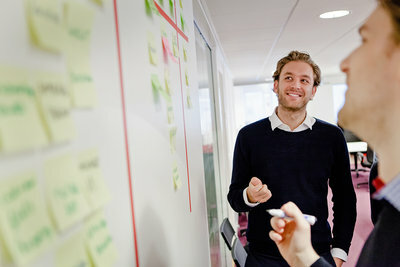 Half of the top 10 consumer internet companies, along with hundreds of other retailers, financial institutions, marketplaces, gaming companies and more have adopted Jumio products to enable their customers to efficiently speed through sign-up and checkout processes yielding not only higher completion rates but an improved customer experience. Jumio has received numerous innovation awards from leading industry associations and is listed on The Sharepost 100 as one of the world’s most innovative and compelling private companies.